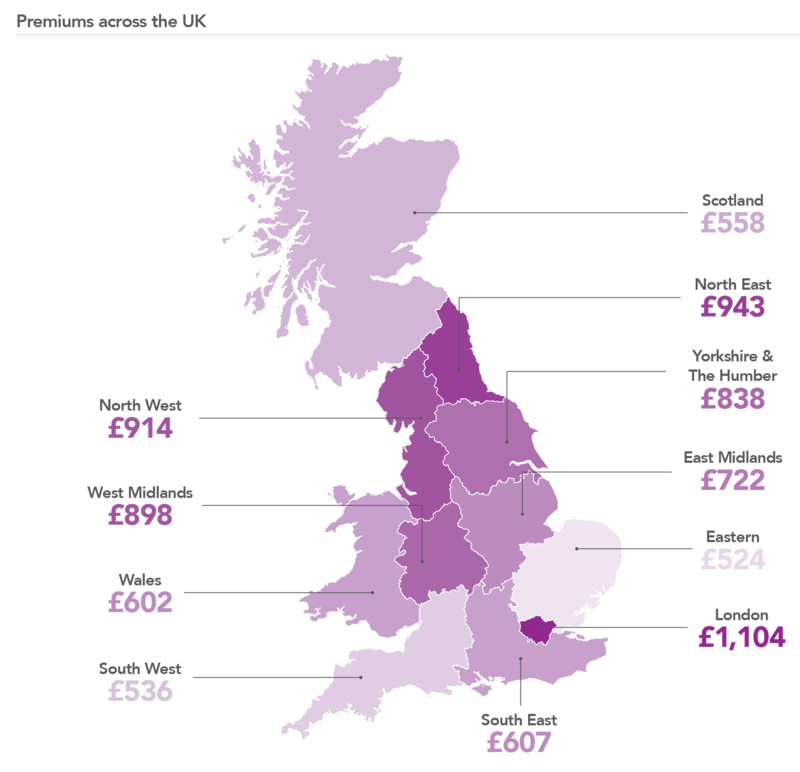 Brexit uncertainty could be a driver behind a recent uptick in premium rises. 1The cheapest premiums were calculated by comparing the prices offered for 3,600 people by all the major Price Comparison Sites and key direct insurers. The top 5 prices for each person were compared to the previous month’s top 5, then these variations averaged to produce the index.